This book comes complete with a Touch-or-Click Table of Contents, divided by each Section. This edition has a linked Table of Contents and has been wonderfully formatted (searchable and interlinked) to work on your eBook reader. Jean Pierre de Caussade was a French Jesuit priest and writer known for his wonderful work Abandonment to Divine Providence. 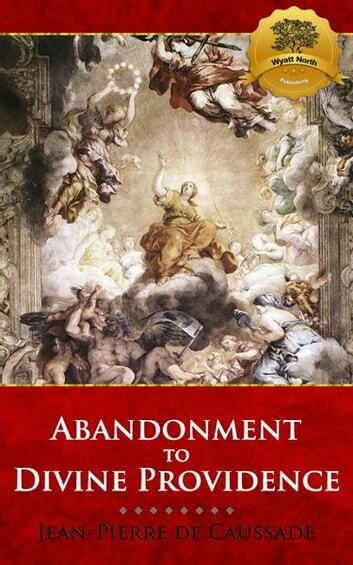 The work is divided into two unequal parts, the first containing a treatise on total abandonment to Divine Providence, and the second, letters of direction for persons leading a spiritual life.The "Treatise" comprises two different aspects of Abandonment to Divine Providence; one as a virtue, common and necessary to all Christians, the other as a state, proper to souls who have made a special practice of abandonment to the holy will of God.You can purchase additional religious works directly from Wyatt North Publishing.Enjoy. perfect..simply stated..it the simple reminder to have Divine Providence in the midst of days challenges.